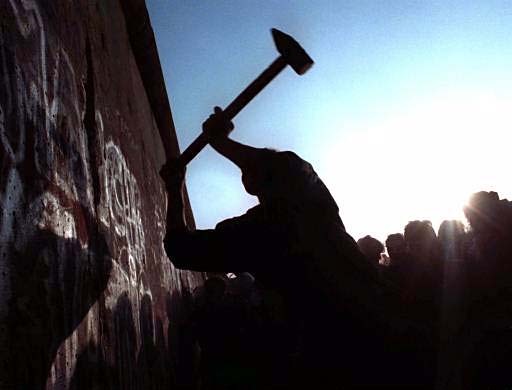 There are two world events that stand out most to me: the fall of the Berlin Wall and the fall of the Twin Towers. They are as giant bookends holding together that period of my life between 1989 and 2001. That they were both collapses seems significant. I can only imagine there will be a third, and that it's on the way. The Wall fell on 11/9 and the Towers fell on 9/11. Including end dates, the elapsed time between them is 11 years, 10 months and 3 days. Fast forward that same distance and we arrive at Saturday, July 13th, 2013. As you already know, the world will officially end in 2012, but due to cosmic bureaucracy there will be a six month delay prior to implementation. That's okay with me. I'd rather die in summer anyway. I keep wondering how much time we have, with no rational way to calculate the answer. Only the arational voice leaps forward with theories as strange as the matrix itself, searching for a pattern in the insanity. Mark Twain said, "History doesn't repeat itself, but it does rhyme." My gut says he's right. What, when, and where is the next rhyme? Is there the suggestion of a twelve year cycle? Will the third collapse also be in the Year of the Snake? There is a symbolic connection between serpents and deceit. I'm reminded of the Gadsen Flag and the forked-tongued lies of a world gone wrong. 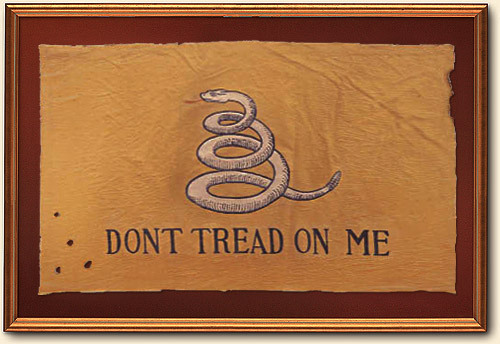 "Don't Tread On Me" needs to be traded in for "Don't Tread On Anyone," or keep the original motto and trade out the snake for a photo of the Earth. This feels like a siege. 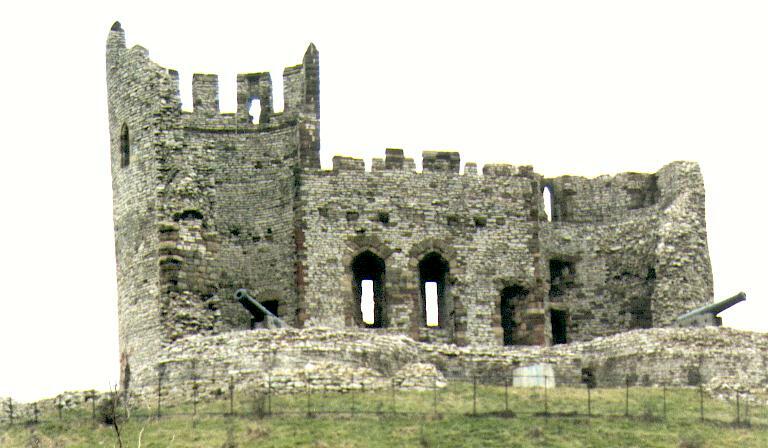 First the walls, then the towers, and finally the keep -- the highest point and center of defense, the strongest and most secure place in a castle. How long until the fortress falls and we crawl out of our old skin?